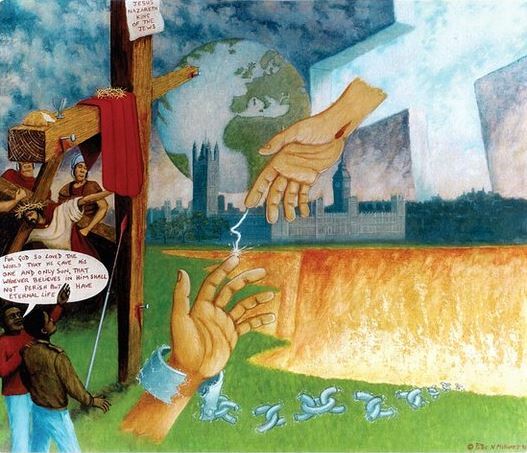 I painted this for an outreach in London at Finsbury park while I was helping a church do Evangelism there, many people stopped to look at the picture and were interested in hearing the message about the scripture John 3:16. I shall never forget how a small boy crossed over the road to see the picture and asking me what the picture means. As I explained John 3:16, I could see the wonder in his eyes as he listened to how God loves the world and how each one of us matters to Him.